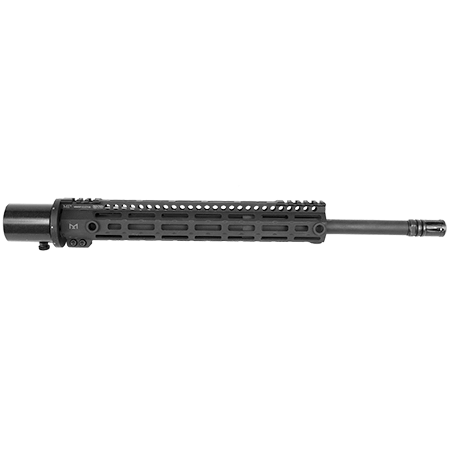 Category: AR Retrofit Series	SKU: BAKFS Tags: .17 Remington .17-223 .20 Practical .204 Ruger .223 Remington .25-45 Sharps .300 AAC Blackout 5.56 5.56mm NATO 6.8 6.8 SPC 6.8mm Remington SPC II 6x45mm American 30 BHW ar ar-15 ar15 Barrel Barrel Adapter Assembly Kit - FS free float free float adapter free float kit freefloat freefloat kit Multiple Caliber System war lock Barcode: 806810105962. 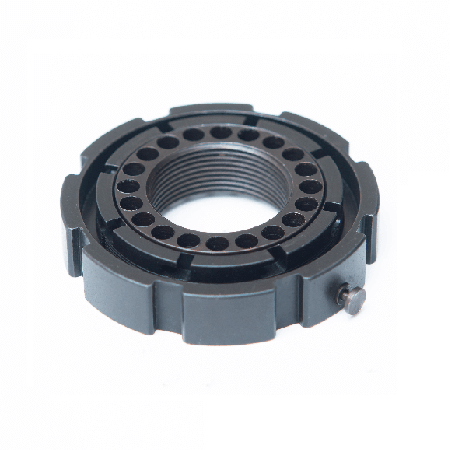 Barrel Adapter Assembly Kit – FS. War Lock™ compatible barrels will need the Barrel Adapter Assembly Kit – FS to connect with the receiver. It becomes an integral member of the system. Once installed, it should never need to be removed. It’s the affordable solution for multiple caliber barrel builds. Manufactured from the same high quality billet steel as the complete War Lock™ Multiple Caliber System, the Barrel Adapter Assembly Kit – FS is the “barrel half” of the system. It is engineered and built to be durable and last for decades to come. Organize your barrel assemblies in new ways with smaller storage requirements. 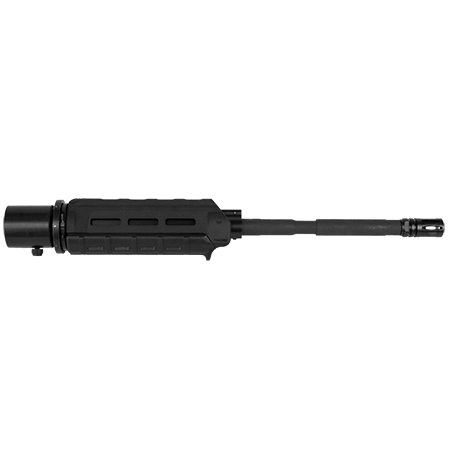 Transporting your AR becomes more manageable in separate, modular receiver and barrel components. One typical hard gun case can store a receiver group and two or three barrel systems. Cleaning is also less painful and aggravating since you have direct access to the chamber area of your barrels. Tired of using special tools or devices to clean and inspect the chamber? We were too. 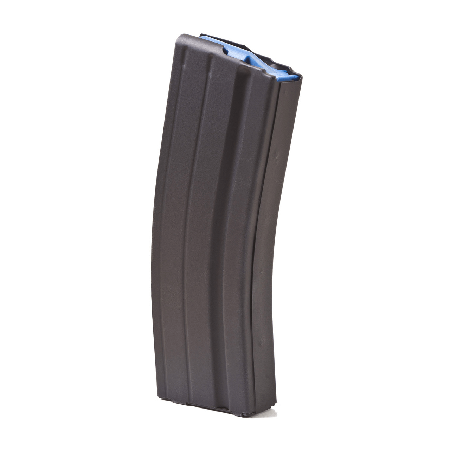 Separate the barrel system from the receiver and that headache disappears forever. Safety is always a valid concern with any firearm. The War Lock™ is an evolution in safety. One subtle feature that many overlook, is the capability to separate the barrel system from the receiver group. By storing the receiver and barrels separate, the possibility of unintended discharge is almost eliminated. Secure the firing controls in a different location from the barrel (chamber), and the ammunition. Unlock the potential in your AR platform. Shoot over 90 calibers without buying another firearm. Spend more of your money on the ammunition and accessories to shoot more often. Learn which calibers and loads you like by trying them out for yourself. Join the communities and groups of shooters working together to advance our knowledge of ballistics and technology. 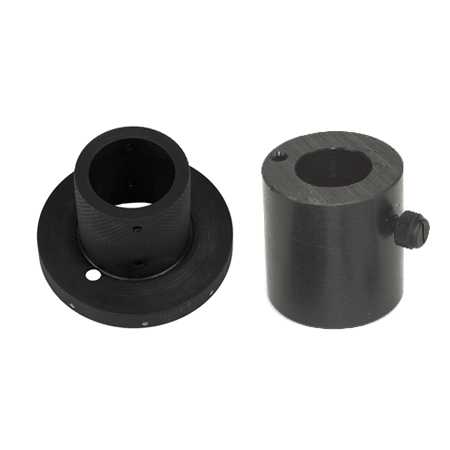 The Barrel Adapter Assembly Kit – FS includes one Barrel Adapter Assembly – FS, and one Transportation and Storage Cap. 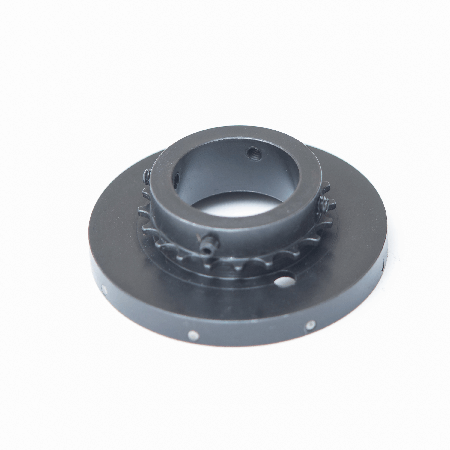 Additional Barrel Adapter Assembly – FS’s are available for separate purchase. 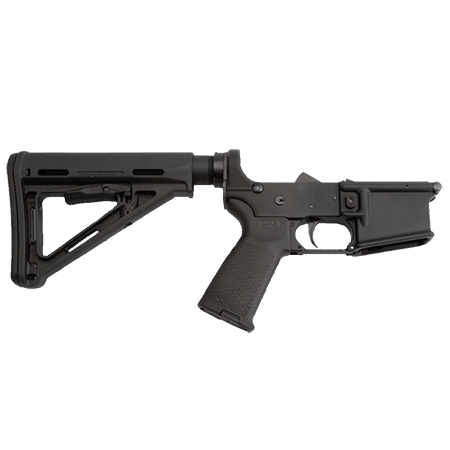 The War Lock™ Barrel Adapter Assembly Kit – FS allows for user or gunsmith installation of the War Lock™ Barrel Adapter Assembly – FS to one AR-15 barrel. 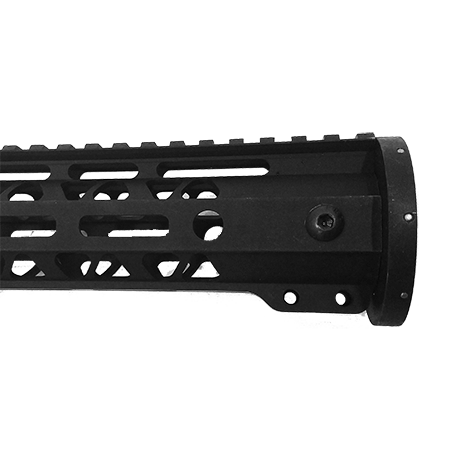 Once installed to the barrel, the barrel system is modularly adapted to other War Lock™-compatible receiver assemblies. Barrel changes are made rapidly; without the need for additional tools. See our line of factory assembled barrel assemblies and receivers for “out of the box” and hassle-free modular shooting choices. The War Lock™ Barrel Adapter Assembly Kit – FS is machined from one piece of high quality, billet steel to ensure the longest possible service life. We inspect our components and test them to assure reliability, durability and resistance to corrosion. 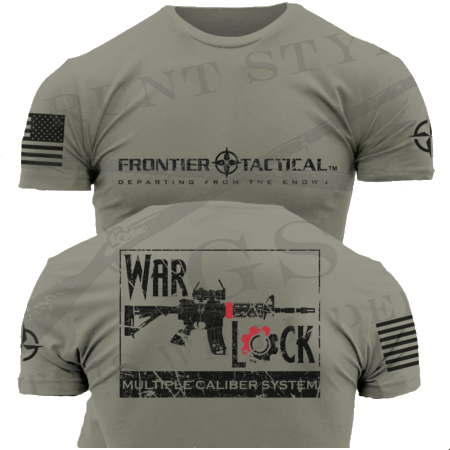 The War Lock™ Barrel Adapter Assembly Kit – FS is manufactured in the U.S.A. Frontier Tactical™ is veteran owned and operated in the U.S.A. Fits – Mil-spec AR-15 barrels. Finish – Black. 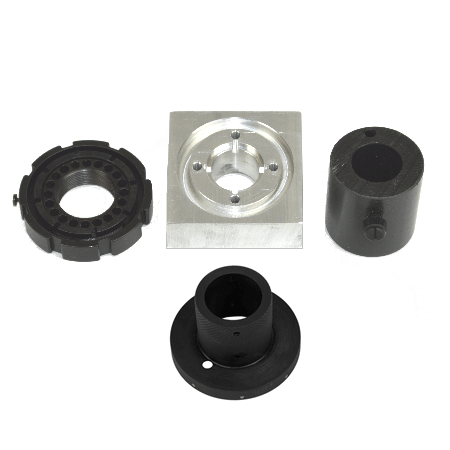 Barrel Adapter Assembly Kit – FS includes one Barrel Adapter Assembly – FS, and one Transportation and Storage Cap. 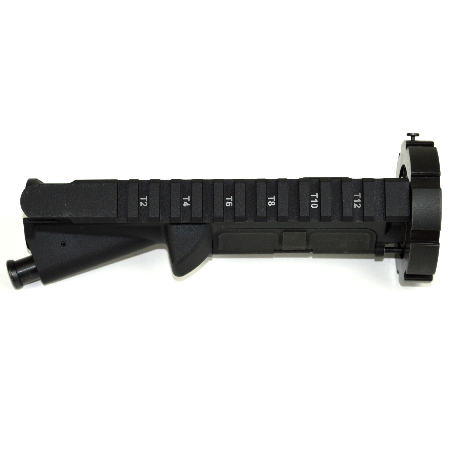 Additional Barrel Adapter Assembly – FS’s are available for separate purchase. 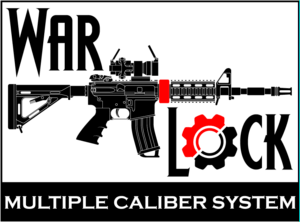 The War Lock™ Barrel Adapter Assembly Kit – FS allows for user or gunsmith installation of the War Lock™ Barrel Adapter Assembly Kit – FS to one AR-15 barrel. 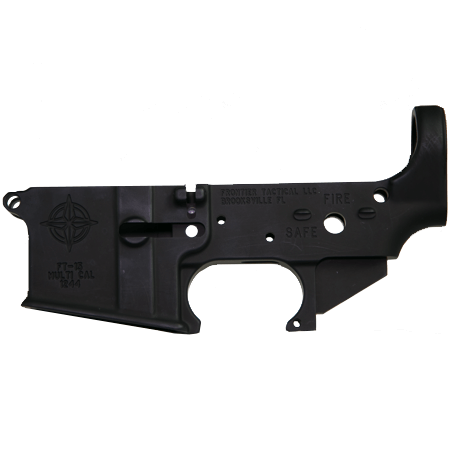 Once installed to the barrel, the barrel system is modularly adapted to other War Lock™-compatible receiver assemblies. Barrel changes are made rapidly; without the need for additional tools. See our line of factory assembled barrel assemblies and receivers for “out of the box” and hassle-free modular shooting choices. 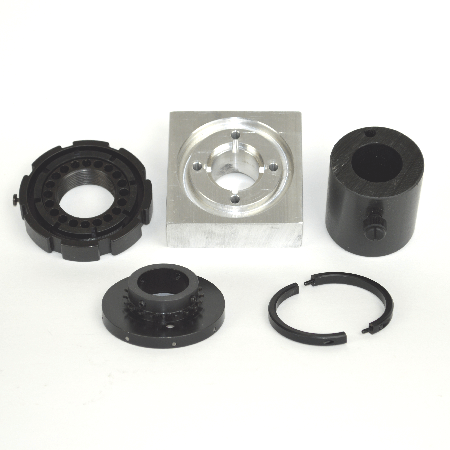 The Barrel Adapter Assembly Kit – FS is machined from one piece of high quality, billet steel to ensure the longest possible service life. We inspect our components and test them to assure reliability, durability and resistance to corrosion. 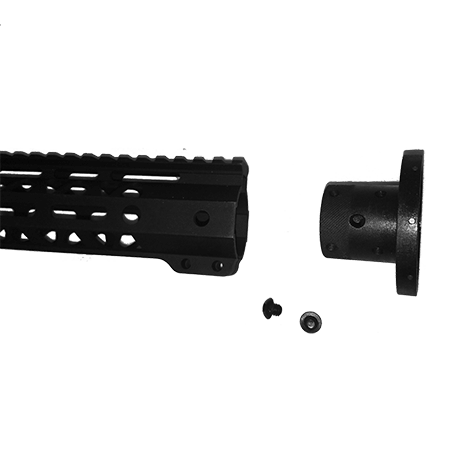 The Barrel Adapter Assembly Kit – FS is manufactured in the U.S.A. Frontier Tactical™ is veteran owned and operated in the U.S.A.